Weather experiment activities for high school students. 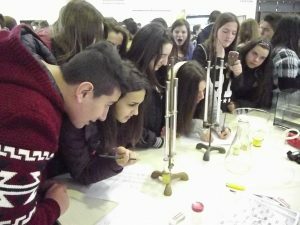 Meteorological workshops and experiments for schools and universities, in order to discuss leading edge meteorological topics, such as extreme weather phenomena and advances in weather forecasting. Weather photography competitions and meteorological calendars featuring the best weather photos from the competitions, enriched with meteorology terminology on specific phenomena and proverbs and poems relevant to weather. 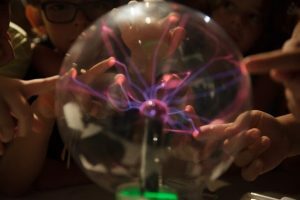 Participation in special events, such as “Researchers Nights” or “Athens Science Festival” to bring together weather scientists and children. 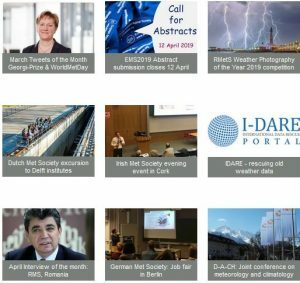 Interactive weather science and technology events in collaboration with the Hellenic National Meteorological Service and EUMETSAT. Guests have the opportunity to see meteorological instruments, learn how they work, talk to scientists working as weather forecasters and become aware of the crucial role of human activity on climate destabilisation. Annual prestigious events in collaboration with the Hellenic National Meteorological Service to celebrate World Meteorological Day. The Hellenic Meteorological Society has been a co-organiser of the bienniel COMECAP International Conference on Meteorology, Climatology and Atmospheric Physics since 1992 when it was held in Thessaloniki. This conference includes participants from the Hellenic Meteorological Society and colleagues from other countries working in disciplines associated with the study of the atmospheric. EMS Broadcast Meteorologist Award 2013 was awarded to Dimitris Ziakopoulos (September 2013, Reading, UK). Young Scientist Travel Award was awarded to Anastasia Bleta (September 2015, Sofia, Bulgaria). Tromp foundation travel award for young scientists (TFTAYS) was awarded to Anastasia Bleta (September 2017, Dublin, Ireland). EMS Young Scientist Award 2018 was presented to HMS member Georgios Varlas (September 2018, Budapest, Hungary).